Back in September, Koduri announced that he’d be going on a sabbatical for personal reasons. In an email, he explained to his staff that he was taking a temporary break to spend some time with his family. Given that Koduri had just overseen AMD’s launch their latest Vega GPU, it didn’t seem like a huge deal at the time. Following Koduri’s announcement, AMD CEO, Dr. Lisa Su, took the reins of RTG. After the recent lukewarm earnings call for AMD, both Intel and AMD shocked the tech world on November 6th when Intel announced that it was partnering with AMD to use its graphics technology in upcoming ultrathin notebook platforms. This was a monumental move for Intel which desperately needed something to compete against AMD’s upcoming Zen/Vega based APUs, and AMD, which desperately needed additional sources of revenue. Neither AMD nor Koduri provided an official comment following the leak of the memo and now we know why. 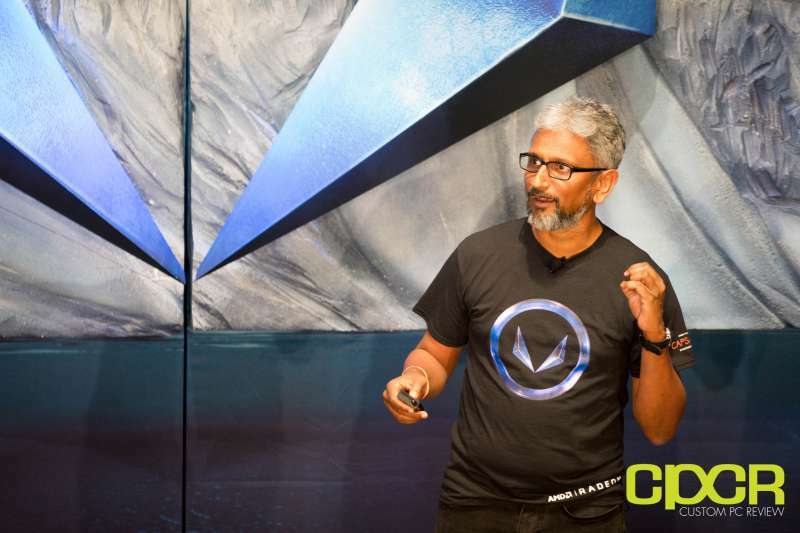 Just a day after it was reported that Koduri may be leaving AMD, Intel sent out an announcement appointing Koduri as Intel’s Chief Architect, Senior Vice President of the newly formed Core and Visual Computing Group. Intel explains that Koduri will vanguard its development in the integrated graphics market and high-end discrete graphics solutions when Koduri returns from his sabbatical in December. Intel has been a long-standing player in integrated graphics, but what’s interesting is the specific mention of “high-end discrete graphics solutions”. Currently, Intel’s only product that’s even remotely comparable to a graphics card is its Xeon Phi, a line of PCIe add-in cards based on x86. Will Intel finally be making a big push to loosen Nvidia’s iron grasp of the AI market? We’ll see.